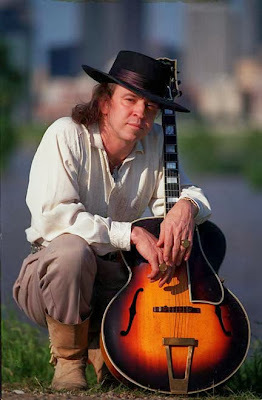 Stephen "Stevie" Ray Vaughan (October 3, 1954 – August 27, 1990) was an American guitarist, singer, songwriter and record producer. 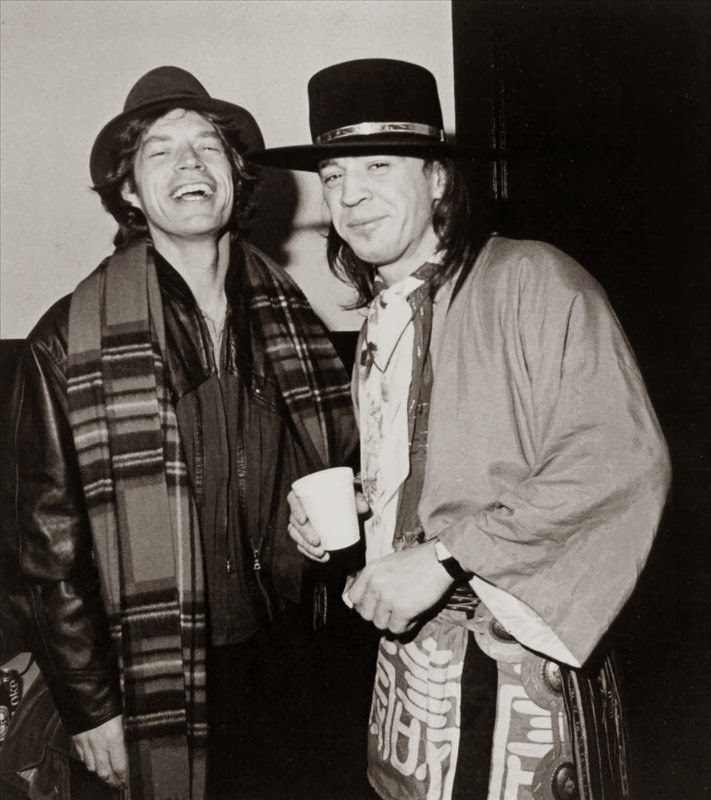 Often referred to by his initials SRV, Vaughan is best known as a founding member and leader of Double Trouble. With drummer Chris Layton and bassist Tommy Shannon, they ignited the blues revival of the 1980s. With a career spanning seven years, Vaughan and Double Trouble consistently sold out concerts while their albums frequently went gold. Vaughan was born and raised in Dallas, Texas, and briefly lived in Graham, Texas. 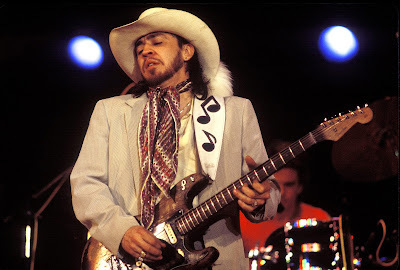 The younger brother of Jimmie Vaughan, Stevie started playing guitar at the age of seven and soon after formed several bands that occasionally performed in local nightclubs. At age 17, he dropped out of high school and moved to Austin to pursue a career in music, joining groups such as Krackerjack, the Nightcrawlers, and the Cobras. In 1977, he formed Triple Threat Revue, a band that regularly performed around Austin and eventually evolved into Double Trouble. In 1982, Vaughan and Double Trouble performed at the Montreux Jazz Festival in Switzerland, catching the attention of musicians David Bowie and Jackson Browne. Bowie asked Vaughan to play on his upcoming studio album Let's Dance and Browne offered the band free use of his personal studio in Los Angeles to record an album. In March 1983, veteran record producer John Hammond Sr. of Epic Records signed Vaughan and Double Trouble and released their debut album, Texas Flood in June of that year. While successfully touring, the group released the albums, Couldn't Stand the Weather (1984) and Soul to Soul (1985), the latter of which featured keyboardist Reese Wynans. Although his career had progressed successfully, Vaughan checked into a rehabilitation hospital in Atlanta, Georgia to give up a cocaine and alcohol addiction and returned to touring with the band. In June 1989, they released In Step, which earned them a Grammy Award for Best Contemporary Blues Performance. On August 27, 1990, Vaughan died in a helicopter crash following a performance in East Troy, Wisconsin. Vaughan derived his uniquely eclectic yet intense style from a variety of musical genres. He was influenced by blues musicians including Albert King, Freddie King, Otis Rush, and Muddy Waters, as well as rock guitarists such as Jimi Hendrix and Lonnie Mack. His guitar playing, for which he has received wide critical recognition, reflected the pentatonic blues scales. 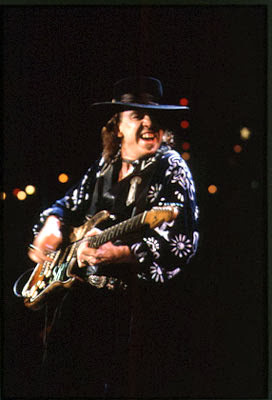 He ranked number seven on Rolling Stone's list of "100 Greatest Guitarists" and was posthumously inducted into the Blues Hall of Fame in 2000, the same year a memorial statue in his honor was erected in Austin's Auditorium Shores park. Vaughan is widely considered one of the greatest musicians to come from the state of Texas.